One summer about five years ago, the council changed the layout of paths in my local park. 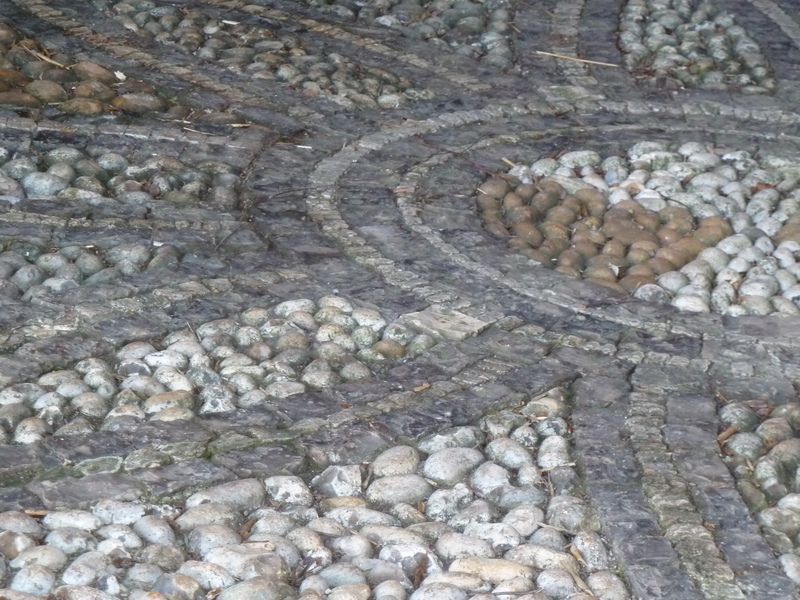 Perhaps cowed by the fact that they had been so properly laid out and surfaced, we kept to the new paths and changed our normal routes through to town. All of us that is but the daffodils who appeared the following spring… reminding us of the lost path and that there are always other ways to go. Cheery little rebels. And you can read the text here. 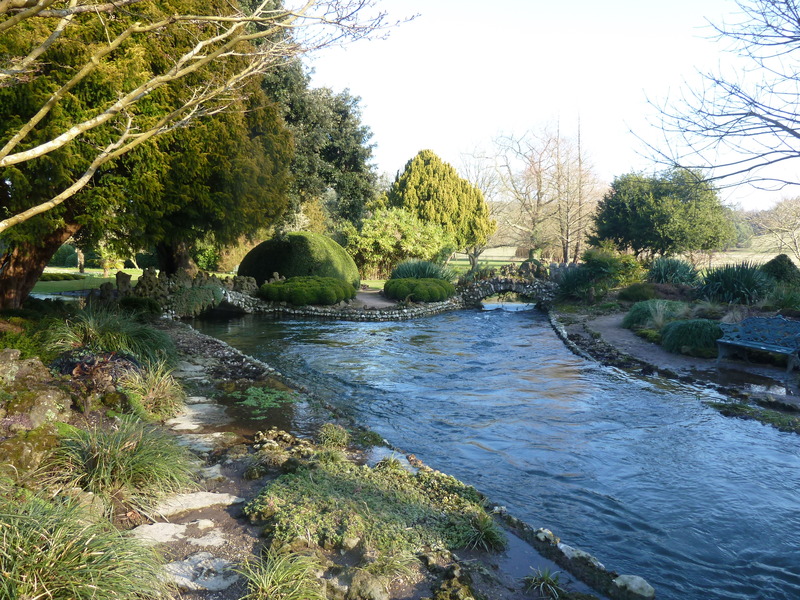 Visiting gardens for creative inspiration has been one of my greatest pleasures over the last few years, as witnessed by this website! And so I’m really pleased to see this fantastic initiative launched by the You Grow Girl community. The first prompt by Gayla Trail is to write about your first plant – Michelle Chapman has written about hers here. 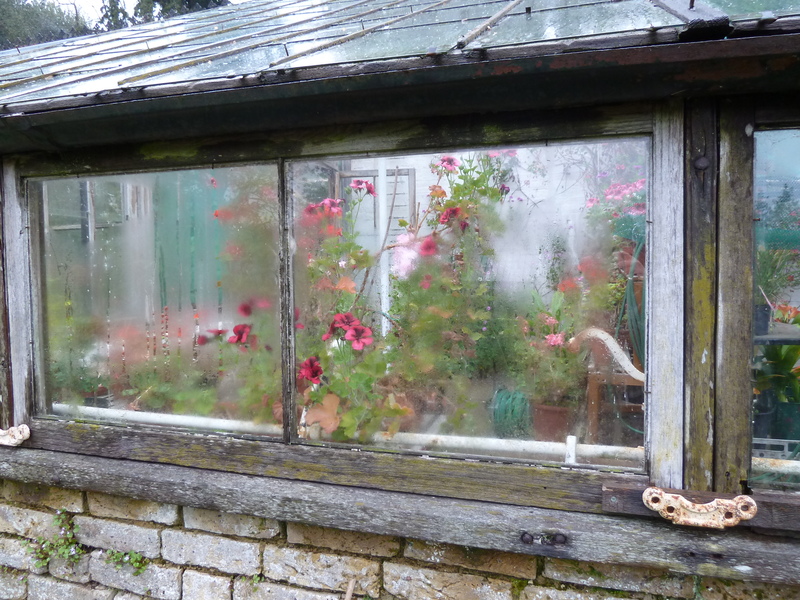 My favourite thing of all is to shut the doors of our greenhouse and breathe in the peppery smell of geraniums. I tell my sister I want to marry a geranium, but later when she tells my brothers and they laugh at me, I say she’s got it wrong. I want to carry a geranium. ‘Where?’ they ask, and I answer, truthfully, everywhere. I can ride my bike round and round the garden without stopping now. Sometimes I will put my hand out and pick a leaf in passing. Often I’ll put it up to my nose without thinking. One day when I do this, I have to apply brakes because of something exciting. I sniff and sniff, and then some more. A ball of happiness bursts in my stomach until I have to go back to find which plant this leaf comes from. I want to dive into it headfirst, but I pick several leaves instead and put them safely in my basket. Every few yards I’ll stop to put my nose inside the basket. When I ask my mother later, she’ll say this is called mint and that it’s a pest. I learn what it’s like to love something in secret. 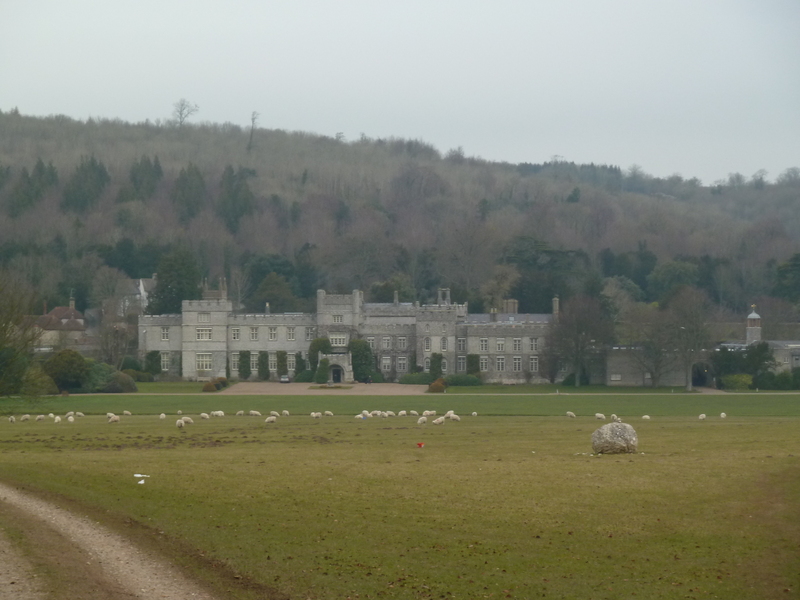 The gardens at West Dean have a traditionally English feel to them. 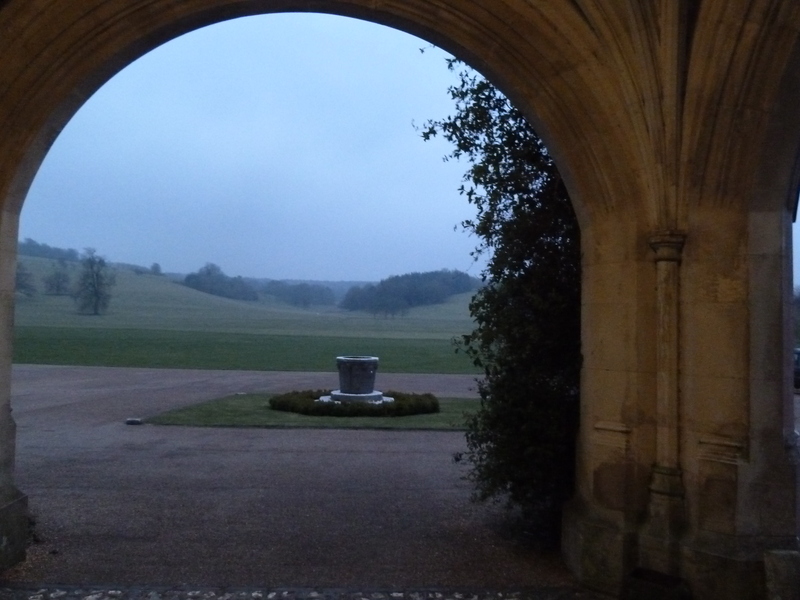 … it’s impossible not to sense the magic running through this estate. It’s as if parts have been designed for children (and adults) who still want to believe fairies live at the bottom of the garden! Perhaps this isn’t too surprising if – as I was – you are lucky enough to go round the house and see the collection of Surrealist art which includes an original Dali lobster telephone and the rather faded but still splendid Dali sofa in the shape of Mae West’s lips. One of the most striking – and poignant – pieces in the house though is the carpet James had woven to commemorate his love for his wife, Tilly Losch. 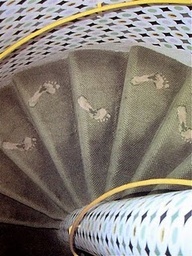 He commissioned the design after Tilly left a series of wet footprints on the carpet after her bath. That’s not my photo above by the way, you’re not allowed to take photographs in the house although of course I wish now I had disobeyed the signs everywhere! 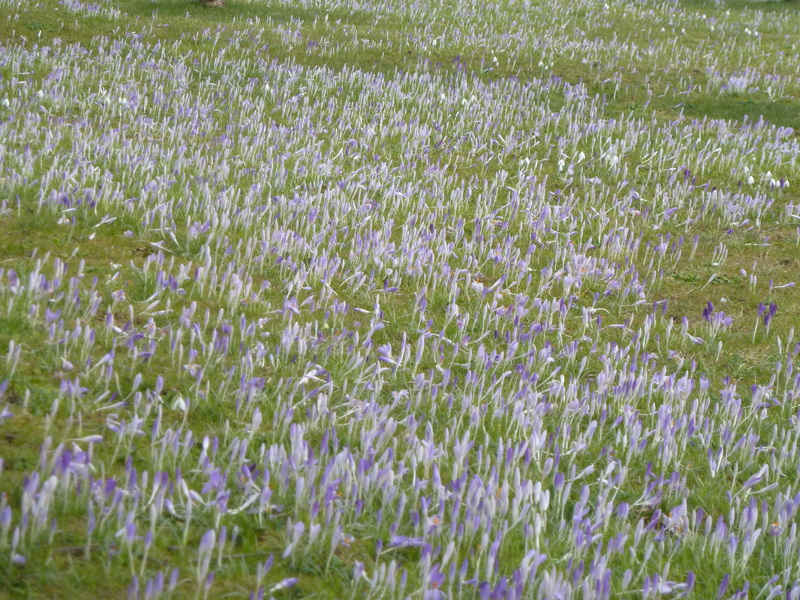 Anyway… the idea of the carpet and footprints carried on in my walks around the garden as I saw flowers begin to cover the ground like interesting and mouthwatering coloured threads. 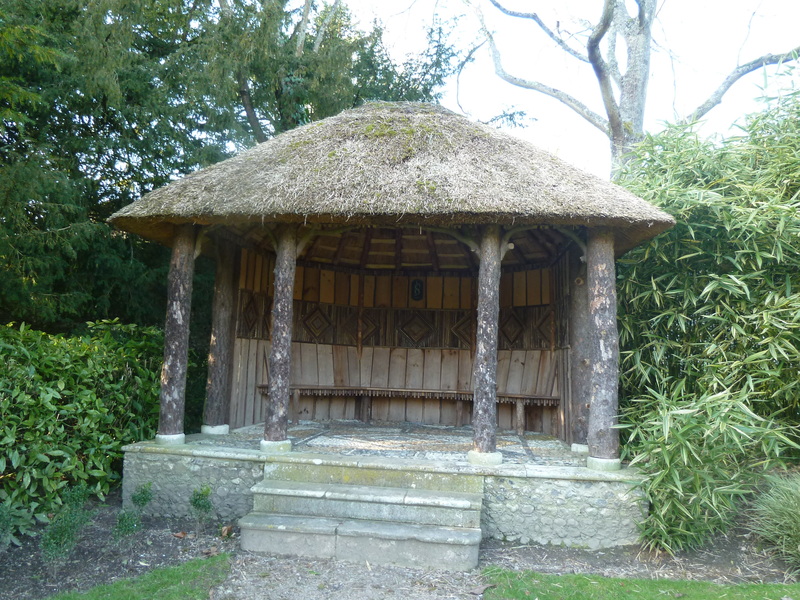 And the pebbles in the summer house made me long to talk off my shoes and feel the shape of the flower with my bare feet. The shrubs looked like clouds you could skip over. 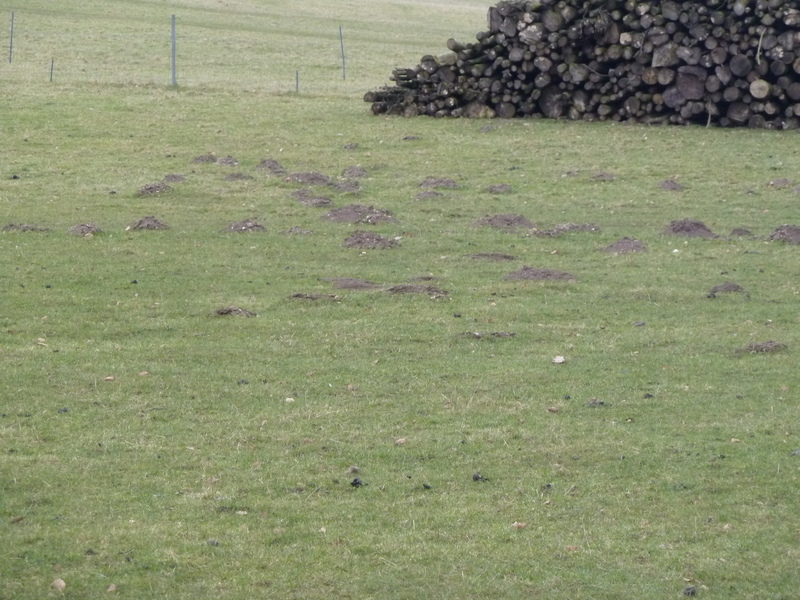 And even the moles seemed to be getting in on the act! 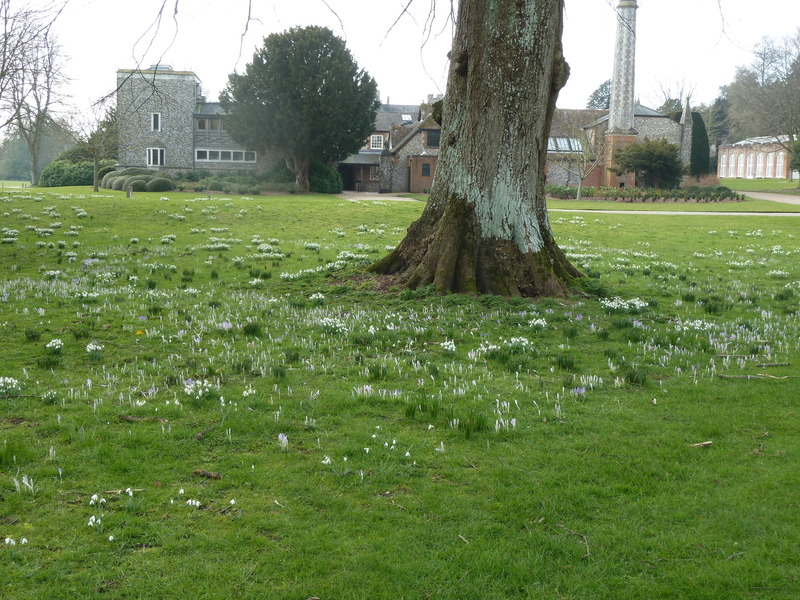 Just imagine what these gardens are going to look like by the end of March – a real solid carpet of colour. Here’s W B Yeats reading his own work so you can get an idea of his accent, and how he likes his poems to be heard! 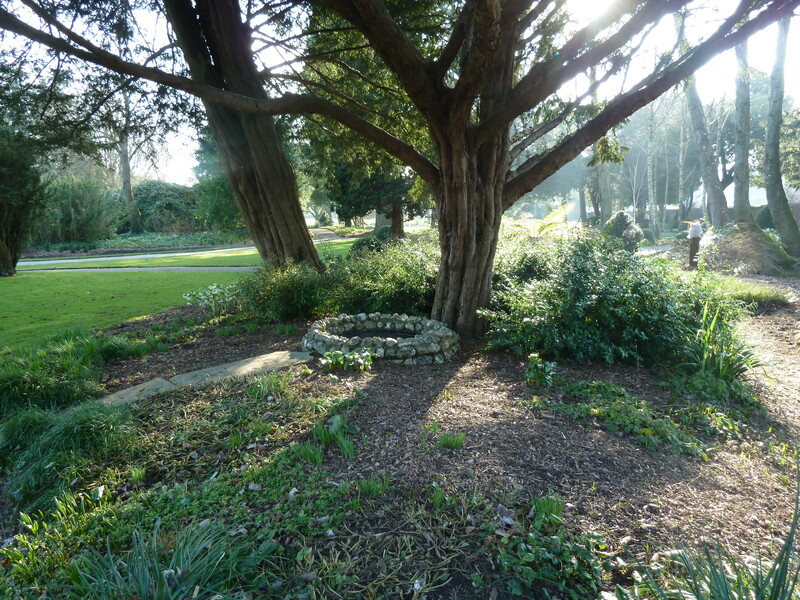 As an aside, although Edward James is buried at West Dean, for the last part of his life he made the garden of his dreams in Mexico where he let his imagination run riot. 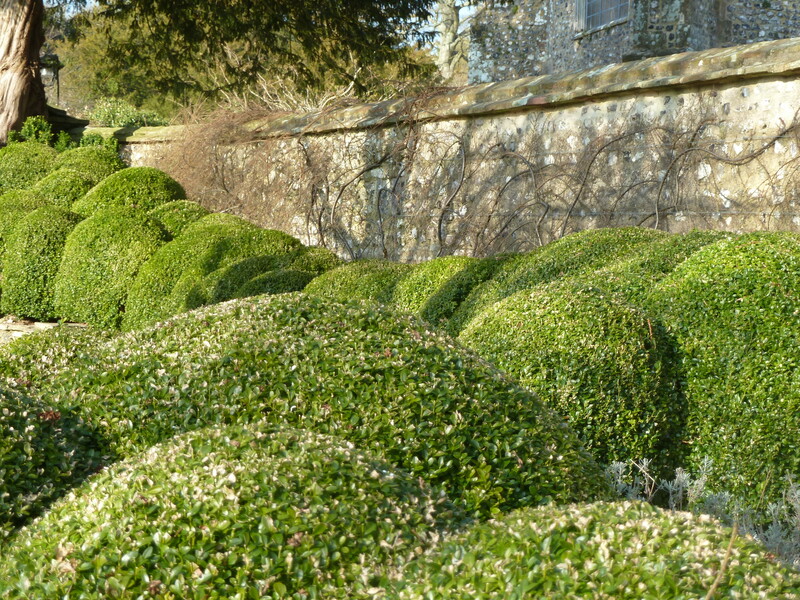 If you look carefully, I think you can see the seeds of this at West Dean.